Run this checklist to perform a SWOT analysis. SWOT: Strengths, Weaknesses, Opportunities, Threats. The purpose of a SWOT analysis is to examine an organization, business, or project using these four attributes to determine a strategy for improvement or optimization. A SWOT analysis helps to assess risks and potential rewards while also understanding the most important factors that impact the success (or failure) of the business. Being honest when assessing your business is crucial for a successful SWOT analysis, and incorporating different viewpoints from all of the departments in your organization can help build a more objective and unbiased picture of the strengths, weaknesses, opportunities, and threats facing your business. This checklist template is designed to run you through the complete process of a SWOT analysis from start to finish, making your life easier by breaking the process into clearly defined steps. It also uses conditional logic and dynamic due dates to remove some of the manual work you'd otherwise have to do yourself. Proceed to get started with the checklist. 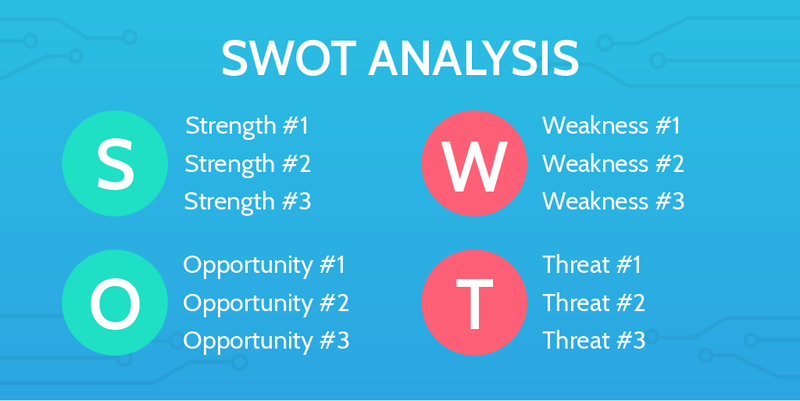 Before you begin, record some basic information about the SWOT analysis here. This will save you time in the long run, and provide information that will allow the checklist to automatically format for your specific needs. Any good SWOT analysis will incorporate various different sources, and as such you should declare any and all departments that will be part of your analysis. If you're a smaller organization, or individual, performing a SWOT analysis, simply select "Other" and list the source(s) you'll be using in the text field below. Consider the primary problem or business objective you are currently facing right now. This will help orient and ground your responses to the main SWOT analysis. For example, if you are a real estate company, you might want to orient your SWOT analysis around the problem of gaining a competitive advantage, or how to improve customer retention. Using the email fields below, record a contact for each of the departments in your organization in order to incorporate them into your SWOT analysis. Using the email field below, record a contact for sales to reach out for input to be incorporated into your SWOT analysis. Using the email field below, record a contact for marketing to reach out for input to be incorporated into your SWOT analysis. Using the email field below, record a contact for HR to reach out for input to be incorporated into your SWOT analysis. Using the email field below, record a contact for product to reach out for input to be incorporated into your SWOT analysis. Using the email field below, record any additional contacts to reach out for input to be incorporated into your SWOT analysis. Whether it's the different departments in your organization, or your friends who are familiar with your business, it's important to request feedback from a variety of different perspectives to inform a successful SWOT analysis. The email widget below is filled out for you with a template for requesting some SWOT feedback. Just check it over and hit send when you're happy with the message. Everyone you listed in the previous task will automatically be added to the recipients of this mail, so you'll save a lot of time from having to do that manually. Just as important as requesting feedback from a variety of different sources, is of course... actually receiving that feedback. Because it's so important to get feedback from everyone, you need to be diligent with requesting and receiving that information. Strengths, along with weaknesses, make up the internal factors of the SWOT analysis. These are the things that you have direct control over in your business. As with all of the SWOT analysis, you must be honest when assessing strengths, and not overstate certain things for the sake of adding to this list. Only an honest assessment will result in a successful SWOT analysis, and be useful for devising a SWOT strategy. That's why it's so important that you incorporate the views of the rest of your organization, where appropriate. Using your own input and the feedback you got from the various other sources, list all of the strengths of your business in the form field below. You should be able to think of at least three, but aim for as many as possible. Feel free to edit this task to add more form fields if necessary. Weaknesses are the other half of the internal factors of the SWOT analysis. Again, everything here should be things within your control as a business/organization. For example, barriers of entry into your market are not part of your weaknesses (rather, they would be part of threats). Weaknesses are sometimes difficult to objectively assess, and here it is of the utmost importance that you do not shy away from facing some potentially hard truths. Being honest will help you improve upon weak points in your business and ultimately take the first steps towards eliminating any existing problems. Using your own input and the feedback you got from the various other sources, list all of the weaknesses of your business in the form field below. 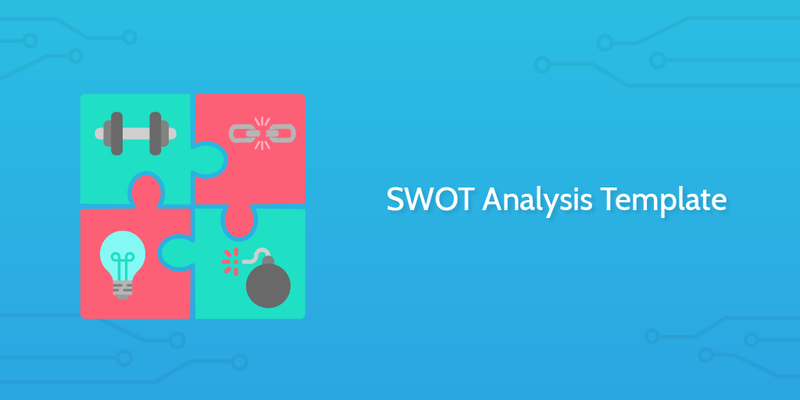 Opportunities and threats are the two external factors to consider in a SWOT analysis. In contrast to strengths and weaknesses, these are things outside of your control as a business/organization, and include things like market trends and seasonal implications. Using your own input and the feedback you got from the various other sources, list all of the opportunities currently facing your business in the form field below. Finally, we come to threats. Similar to opportunities, these are factors outside of your organization. Using your own input and the feedback you got from the various other sources, list all of the threats currently facing your business in the form field below. Below you'll find the results of your SWOT analysis so far, collected together into a handy and presentable format. Take a look at this overview and consider how each section compares and contrasts against one another. Your next task is to strategize how each of these assessments can be utilized to offset one another in an overarching SWOT strategy for business transformation. You can use Process Street's export function to quickly and easily print this SWOT table, or save it as a .PDF file.